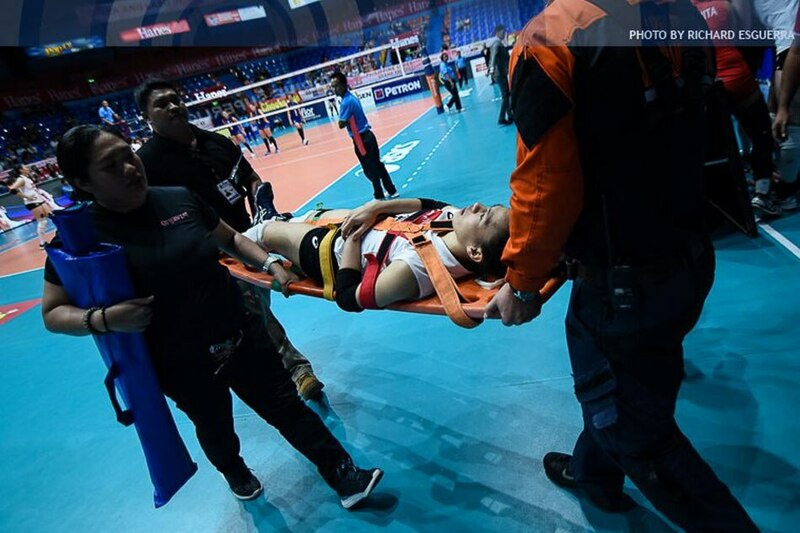 Jannine Marciano of Cignal sustained a left knee injury late in the third set of the HD Spikers’ straight sets quarterfinals loss to Cocolife in the 2017 Philippine Superliga Grand Prix at the FilOil Flying V Centre in San Juan Thursday night. The former San Beda College standout was stretchered off the court after landing awkwardly following an attack that was blocked by Asset Managers skipper Michel Gumabao that tied the frame at 20. Marciano was brought back to their dugout and was rushed to Cardinal Santos Medical Center after Cignal surrendered the knockout quarters match 23-25, 23-25, 20-25. “Ang initial assessment ay ligament sprain. Minimal lang ang swelling and nakakatayo namna siya at nakakalakad ng ilang hakbang. 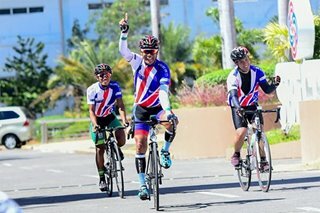 Pero hindi lang siya nakaka-squat,” said PSL resident physician Dr. Raul Alcantara. The hitter was the second leading scorer of the HD Spikers in the match with 11 points. Cignal was a depleted team heading into the quarterfinals after losing top hitters Jovelyn Gonzaga (right knee muscle strain) and Rachel Anne Daquis (recovering from dengue).